Got a question or need advice about brick tinting? Brick tinting is a specialist skill and area of expertise. We’re industry experts who exclusively server the south of England. How much does brick tinting cost? Because every project is different it is difficult to give a firm price without actually seeing the job. Some of the factors that affect the price include location (travel time), the level of colour change, the area to be tinted, accessibility of the brickwork (Cherry picker, scaffold, tower, ladder requirements) even type of brick. If you are located in our normal operating area there is no charge for us to visit site and price the work. If you absolutely insist you only want a rough idea of cost without a site visit, email us from our contacts page with as much of the previously mentioned information and some photos and we’ll endeavour to give an indication. What locations does Chameleon operate in? We operate across central, southern England in an 80-mile radius from Southampton. We will take enquiries for work beyond this, but only in special circumstances. Is there a minimum area you will tint? Not really, although for small areas you will be charged the full day rate. Can I see a sample before deciding to go ahead with tinting? Yes, in fact, it is a requirement that a sample has to be approved before the work can proceed. Unless specified, samples are submitted without any fixing agent i.e. it is a non-permanent version of the actual tint. What if I decide not to proceed after having a sample? No problem, there’s no obligation on your part to proceed if you don’t want to. 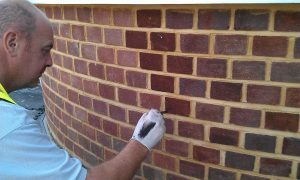 Because samples have no fixing agent you can pressure wash it off and return your brickwork to its original state. *A small residue of tint may remain after washing. Why do we establish a viewpoint for the work? In some situations, colour samples can appear to match at one angle but not if the angle of illumination or viewing changes. This optical illusion is known as ‘geometric metamerism’. Unfortunately, we cannot alter the laws of physics and this phenomenon affects many aspects of life, not just brick tinting. However, by establishing your preferred viewpoint we can keep referring back to this point to assess the work as it progresses. Can any brick be tinted? As long as the brick is made from clay, dry, clean and capable of absorbing the water-based tint then there shouldn’t be a problem. The tint solution will not ‘fix’ itself to brickwork that is permanently wet. Other exclusions include brickwork that has been painted, sealed or treated with a waterproofing agent. Brickwork adjoining silicon or mastic joints can often get contaminated with the associated waterproofing qualities and won’t absorb the tint. Bricks used for paving, landscaping or in horizontal surfaces shouldn’t be tinted. Because each project is unique it can vary. Factors which affect the duration of work include how accessible the brickwork is, the number of coats of tint, the texture of the brick etc. Weather conditions at the time of application could affect the progress of the work as the brickwork needs to be dry enough to absorb the tinting solution. Freezing conditions will also force work to stop; the temperature needs to be +4 degrees c and rising for work to continue. Will tinting provide an extra layer of protection to the brickwork? No. By tinting the brickwork you only alter its colour. Any inherent durability properties the brick had before tinting remain unaffected. Will tinting cover cement / mortar stained bricks? Yes, tinting is ideal for this application. No. Efflorescence is the result of soluble salts that have migrated from within the brickwork as a result of becoming saturated and then drying out. 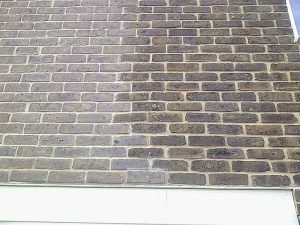 Ideally, brickwork that has efflorescence should be left until the salts have naturally weathered away before being tinted. In exceptional circumstances, any salts may be dry-brushed from the surface prior to tinting, but the brickwork may continue to show signs of efflorescence after tinting. Brick tinting is neither the cure nor cause of this phenomenon. Can brick tinting cover lime bloom? No. Lime bloom (or calcium carbonate deposits) that forms on the surface of brickwork cannot be tinted but should be removed by cleaning. Brickwork cleaning is beyond the scope of our service and you should take advice from a professional cleaning company. After my brickwork has been tinted how long will it last? Unlike paint, which coats the surface, the brick tint is absorbed into the surface and is a permanent stain. Also, painted brickwork requires ongoing maintenance, this is not the case with brick tinting. Brickwork in exposed locations, left unprotected from the effects weathering or subjected to groundwater (e.g. below DPC) can be tinted provided the surface is porous enough to absorb the stain, but the results cannot be guaranteed. What provisions have you made to conform to Health & Safety regulations? Chameleon site operatives are all CSCS card holders and will adhere to any Health & Safety rules enforced on the site they are working. Risk Assessments, Method Statements, COSHH Assessments and Product Data Safety sheets are available from our office on request. We have operatives that are IPAF and PASMA trained and they can be deployed where necessary. I’m interested and want to arrange a sample, what do I do next? 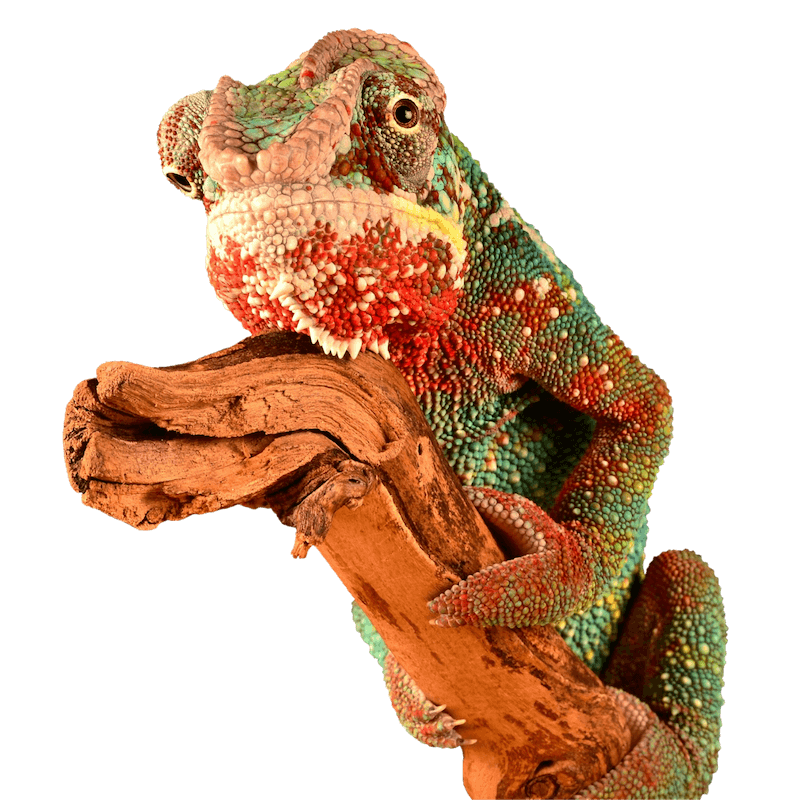 Simply get in touch with Chameleon and we’ll arrange a convenient time to visit the site and start colour trials.